can someone explain how it actually works? Harada wrote: can someone explain how it actually works? 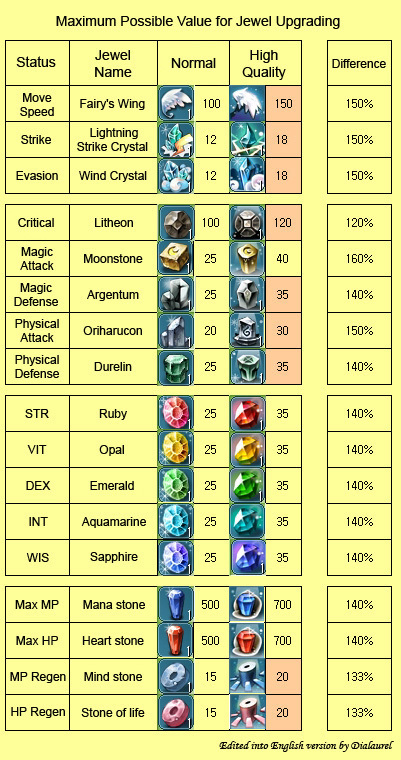 Basically the chart just tells you what is the MAX you can get from reinforcing those jewels. Like theres a difference between High Quality gem's max and regular gem's max.